Let's enjoy together a genuine Turkish Multi-Course Dinner in Cafe Turko's vibrantly colorful, unique environment. Meats / Vegetarian / Vegan / Gluten Free options. Menu: APPETIZER: Rainbow Hummus, Kefir Cheese and Zaatar SALAD: Goat Cheese Salad with Turkish Apricots dressed with Pomegranate Molasses; MAIN COURSES: Lamb with Roasted Potatoes and Grilled Eggplant and Wedding Rice DESSERT: Turkish Caramelized Orange topped with Kefir Cheese and garnished with Turkish Crushed Pistachios. DRINKS: Turkish Coffee or Mint Tea included in the ticket price. 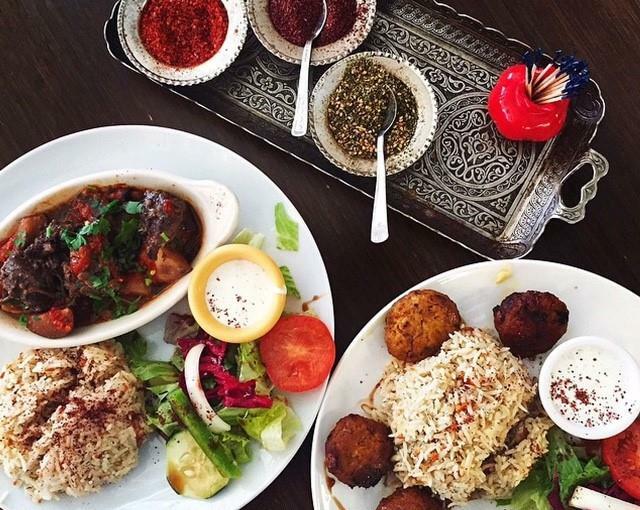 We will enjoy delightful Turkish food and conversation around common tables! Join us today!